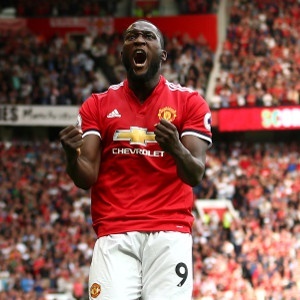 Liverpool - Manchester United striker Romelu Lukaku has brushed off criticism over his poor record against the Premier League's "Big Six" after a missed chance against Liverpool cost his side a potential win. The Belgium international has scored 15 goals in 57 matches against Arsenal, Chelsea, Liverpool, Manchester City, Manchester United and Tottenham. It is a poor return considering the form he has shown over the past two years for Everton and now United and was highlighted again after he missed his solitary opportunity in Saturday's goalless draw at Anfield, shooting too close to international team-mate Simon Mignolet. It was a chance the 24-year-old would normally have converted after plundering 16 goals in 13 appearances for club and country and led to more questions about his big-game performances. "I don't think too much about it - I just move on," said the striker, many of whose goals have come late in matches, which critics point to as evidence he does not score enough game-changing goals. "I know expectations are really high but that is something I relish," said the forward, who joined United from Everton in the summer. "When I was at Everton we have a different mindset going into games. Sometimes it was difficult against some teams when you play not to win and you don't really create chances. "Now I am in a team who want to win against big teams so I think the situation will change. "That game (in which he scored in a 2-1 defeat) freed me from everything." Lukaku said his performances were scrutinised carefully but he was unruffled. "A lot of strikers miss bigger chances than me but with me it is always, 'Rom did this, Rom did that'," he said. "That is the standard I've set myself. It is something that happens in football and I am relaxed about it."